To see the latest innovations from Callaway, please visit our Callaway golf clubs. With the RAZR Fit line, Callaway introduces new technological developments that set it apart from the RAZR Hawk while still sharing its most popular features. And Callaway's new RAZR X HL line provides the hybrids and irons to go with the new RAZR Fit woods. Both lines offer more adjustability to give you customized distance and power. Buy the Callaway RAZR Fit Driver Now! The Callaway RAZR Fit driver has the same Forged Composite material as its predecessor, the RAZR Hawk, in the crown. Forged Composite is lighter and stronger than titanium for precise thickness control and a perfect CG. The RAZR Fit also has an aerodynamic shape and confidence-inspiring PVD finish that is the similar to those of the RAZR Hawk. However, the RAZR Fit adds OptiFit technology, which lets you adjust the face angle to an open, closed, or square position. OptiFit also lets you choose draw or neutral weighting so you can achieve maximum distance according to your ball flight. Another new feature in the RAZR Fit is the Speed Frame face technology. This expands the sweet spot for faster ball speeds, and as a result, more distance and consistency. 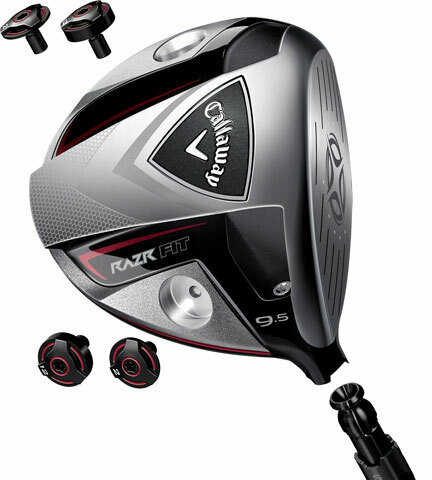 Buy the RAZR Fit Fairway Wood Now! 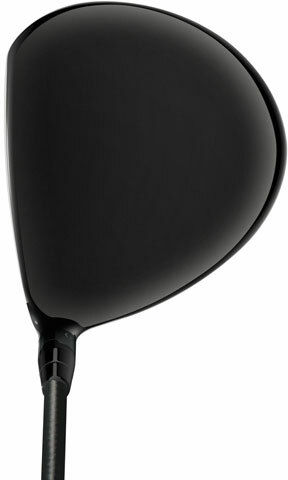 The Callaway RAZR Fit fairway woods feature the same OptiFit technology that the drivers have. The three face angle options (open, closed, and square) give you more control over accuracy and trajectory. Callaway's exclusive Variable Face Thickness Technology (VFT) creates a larger sweet spot for accelerated speeds and farther distances. The stainless steel head and full-length hosel can be appreciated by golfers of almost any skill level. Buy the RAZR X HL Hybrid Now! The Callaway RAZR X HL hybrids feature the same VFT that the RAZR Fit fairway does in order to provide you with greater distance through increased speed. The RAZR X HL hybrid also has the same Zero Roll Design as the RAZR X. This feature helps elevate launch angles for shots hit lower on the face. This enhances distance while promoting softer landings. Unlike the RAZR X, the RAZR X HL has a new increased offset that helps square the clubface at impact while inspiring a confident address. Buy the RAZR X HL Irons Now! The Callaway RAZR X HL irons incorporate Variable Face Technology into their VFT Power System feature. The clubface is fully integrated with the undercut cavity system to exactly position the CG on each individual iron. Though the precise locations may vary, every iron has a low CG for a more accessible sweet spot. This results in higher launches, more consistency, and longer distances.